Home General Information Banks in Saudi Arabia What is Hawala System of Transferring Money? Is it legal? What is Hawala System of Transferring Money? Is it legal? Hawala is a commonly used term among non-immigrants residing in the US, UK, and other European countries. It is an easy way to transfer money from one country to other without getting into trouble of any banking trail or money processing formalities. Especially those who are non-immigrants in European countries and have no legal rights use such money transfer methods. Hawala offers not only instant transfer of money from one place to other but also offer the best money transfer rates. Money exchange intermediaries and institutions may charge a high rate for the transfer of money but Hawala offers a low exchange loss. How does the Hawala System work? For example, a person Abdul-Jabbar is residing in the UK even after expiry of his short-term visa. He still works there and wants to earn until authorities send him back to his homeland forcefully. Apparently, he has no option to send money back to his homeland (Afghanistan) as he has no legal authenticity in Britain. He visits Hawala operator office in the UK and asks for the instant transfer of 500 pounds to his family. He gets a welcoming response from Hawala management who does not require him to prove his legal identity in Britain and transfers funds to his family within the shortest time span. Not only this, but the operator also charges a nominal commission as compared to other money exchange companies. The operator calls Afghanistan to his operation there and asks him to deliver funds to Abdul-Jabbar family instantly. At one hand, Abdul’s family member receive money and at the other side, Abdul pays 500 pounds to Hawala operator plus a set rate of commission. The life of Abdul-Jabbar gets easy as he has not only delivered money to his family but also got rid of legal formality and banking trails. The reverse transaction from Hawala can also be done as a person from Pakistan wants to send university fee of his daughter, he simply approaches Hawala operator in his respective country and follows the same process as Abdul-Jabbar does. Is Hawala a legal way to transfer money? Now the question is “is Hawala a legal way to transfer money?” The answer is no!! It follows no taxation rules; the money gets stuck on both sides and it hinders the healthy circulation of cash reserves. It is simply a form of money laundering and promotes illegal riches and black money. The state banks do not process money in this case hence it does not follow any legal grounds. 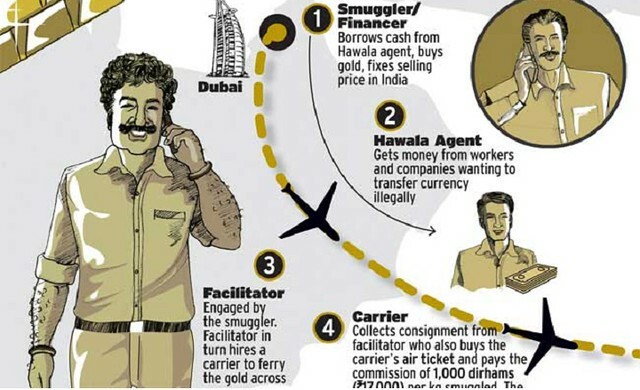 Such type of money transfer may offer ease for transferor and transferee but from a broad perspective, it promotes crimes, drug businesses, and terrorist activities. If you are caught committing such act, you will be charged with the money laundering offence.